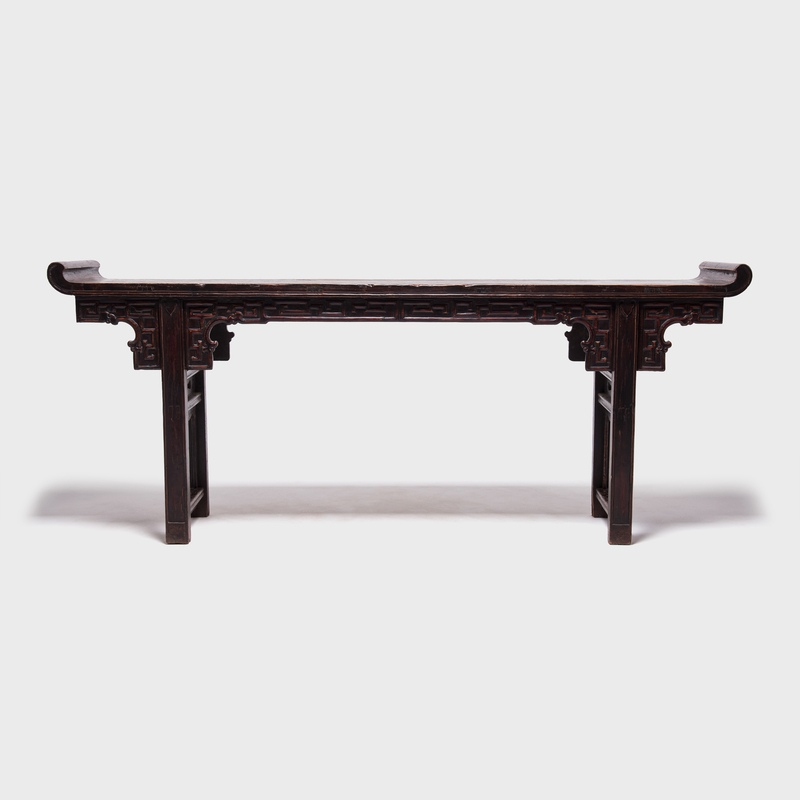 W: 95.75" D: 20.25" H: 39.5"
In ancient China, slender, long tables like such as this one are often known as altar tables and used to hold musical instruments, flowers, or vases. 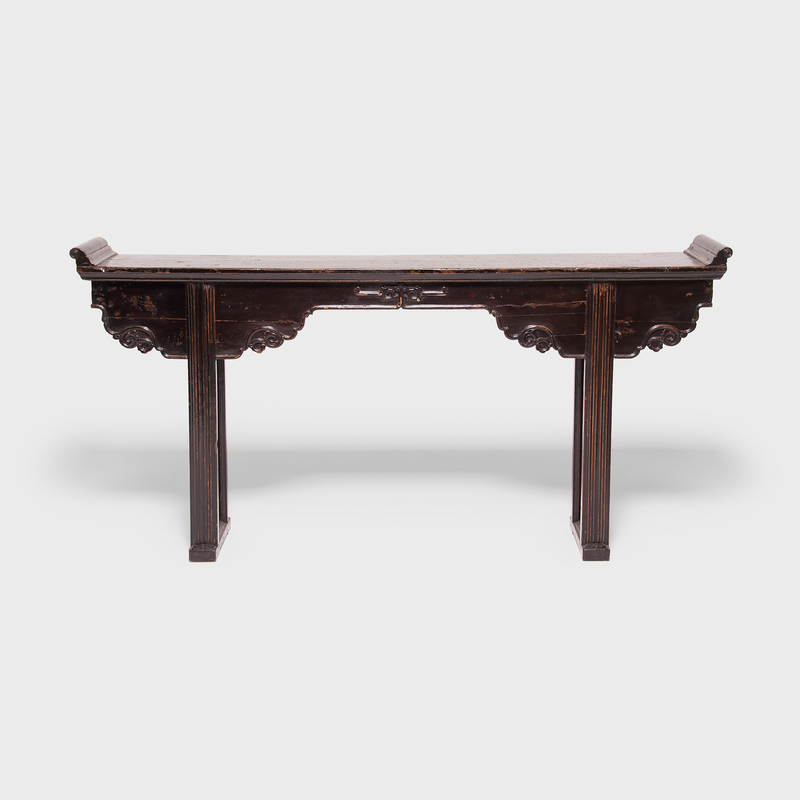 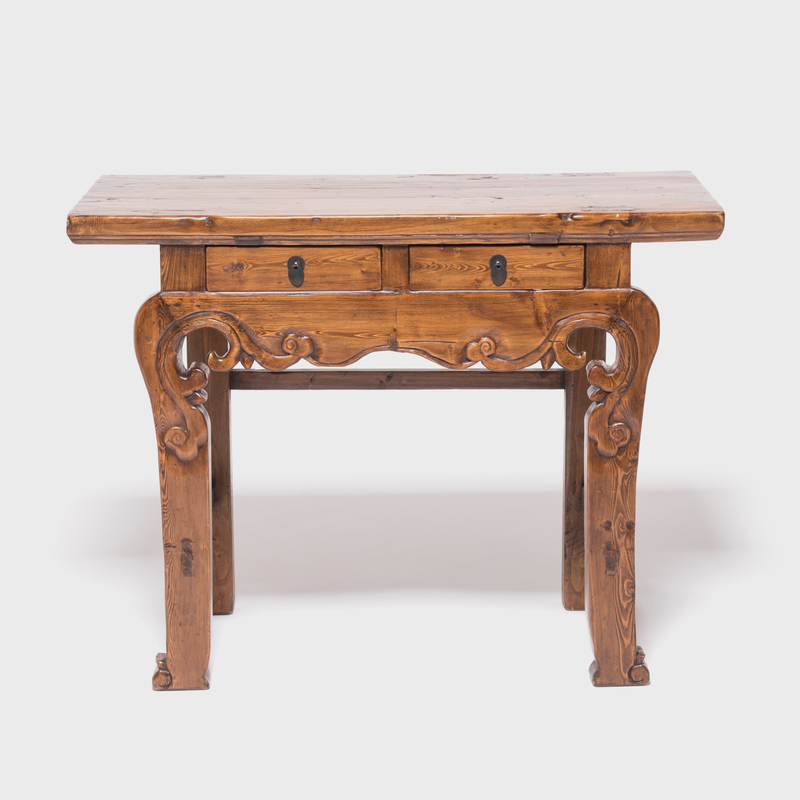 This 150-year-old table was carved in China's Shanxi province. 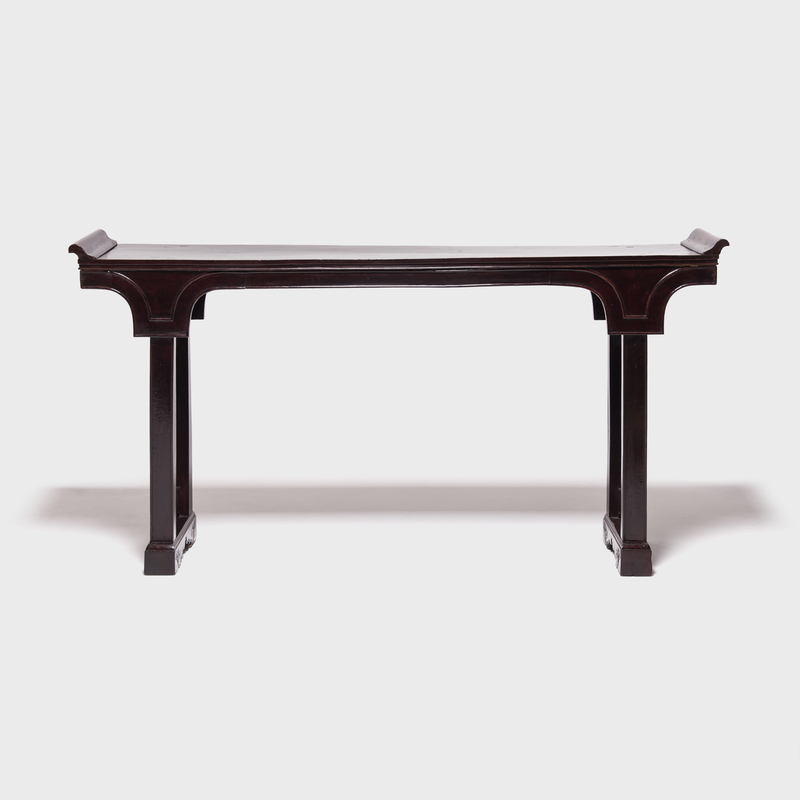 Everted ends curving upwards at a dramatic angle give the expansive table a lighter, more whimsical feel. 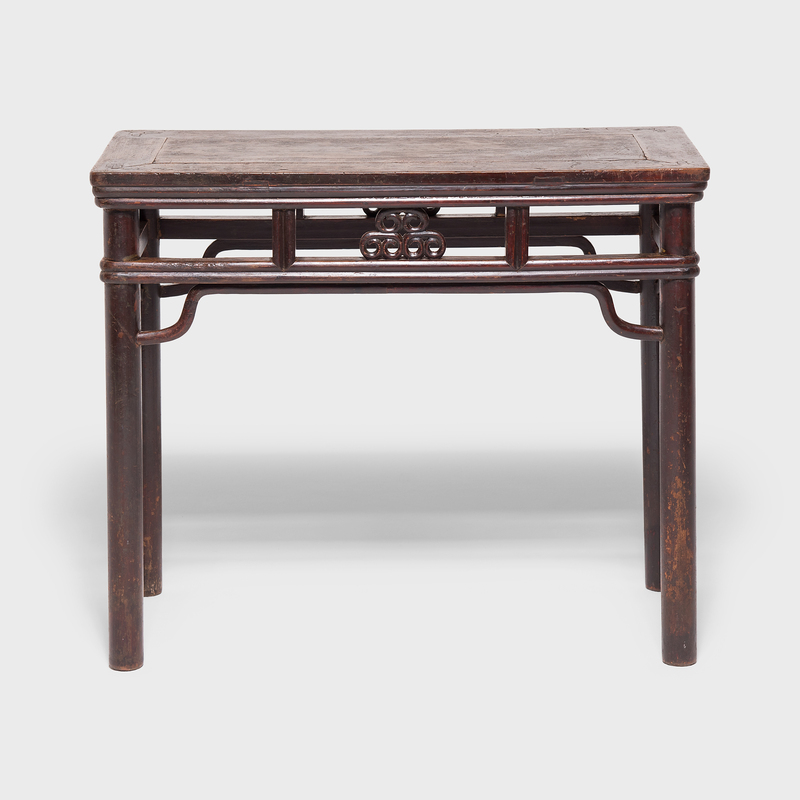 The apron is intricately with a traditional interlocking pattern often seen in Chinese design.